These are our favorite muffins at the moment: soft and tender, with a perfect crumb, sweet and light tasting, easy and quick to make. I discovered them not long ago, but baked them several times already, not just the children love them, we all do. I left the muffins undecorated for the photos, because I thought that the sugar frosting and the gummy bears on top would kind of ruin the picture. The children love them best when thickly bedecked in sugar icing and generously topped with the bears, but for me (and the rest of the adults), they are best just as they are, without any extra sugar on top. 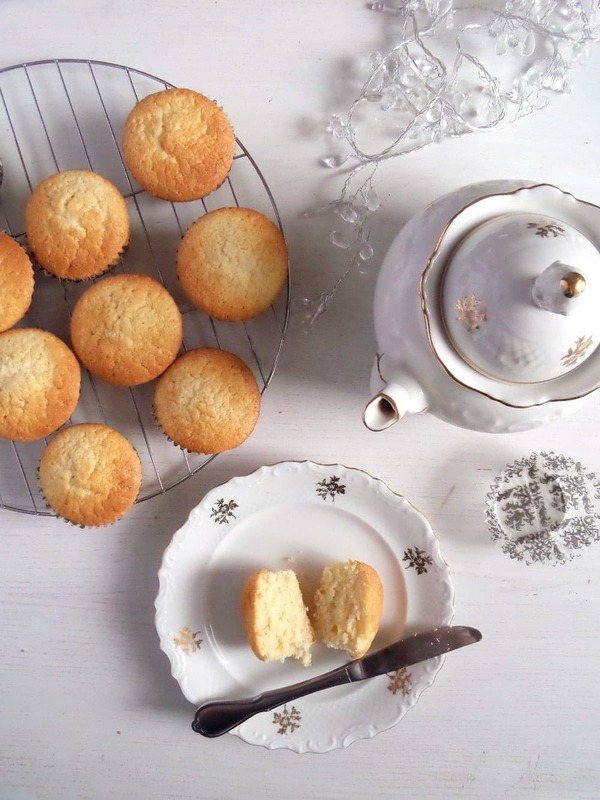 A nice fruity or buttery icing would be something else though, that would definitely transform these modest looking muffins into glorious cupcakes. 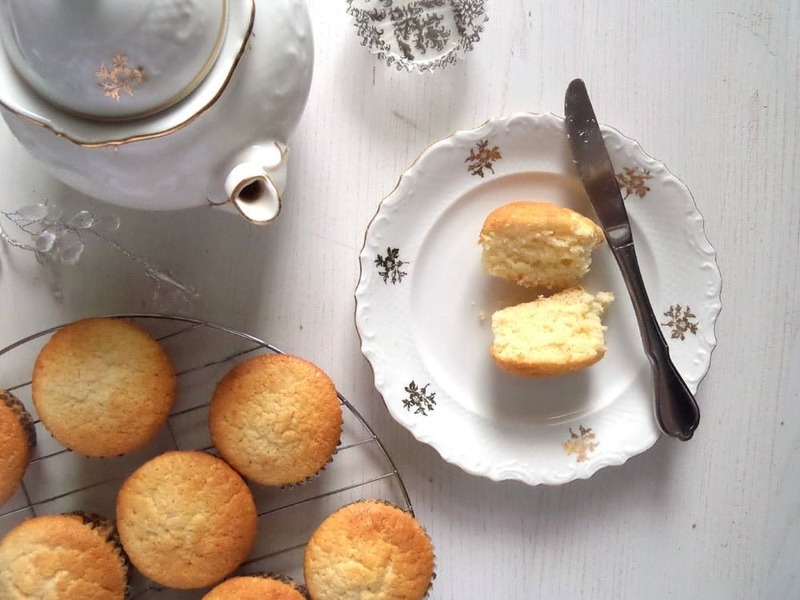 Not only they are some of the best tasting muffins I have ever had, these sweeties are also very easy to make, easier than the usual muffin, I would say. I mean, making muffins generally is really not difficult, but sometimes people (me included) tend to over mix the batter and that is known to be quite bad for muffins, muffin batter should be stirred just long enough to mix the ingredients and you should stop before it is too late, even though there would be still floury clumps in the batter. Otherwise they will lose their airiness and softness and become quite stony, in my opinion. And I have to admit that I have my issue with these floury clumps, I cannot tolerate them, so I often end up over stirring the batter. Well, you will not have this problem with this batter. This is not your usual muffin mixture, it is more of a sponge mixture, so you can light heartedly stir this thoroughly until no floury clumps remain. So if you want to bake some muffins or cupcakes in the next time, I totally recommend you to try these, you will love them, I am sure. And be creative with the frosting on top, I would love to hear what kind of frosting you like best. Place all the ingredients in a mixing bowl and whisk with a hand-held mixer until the batter is smooth. Line a 12-muffin tray with muffin paper cases and spoon the batter into the cases. Bake for 20 to 25 minutes depending on your oven, they are ready when lightly golden. Leave to cool for about 5 minutes, them remove from the tray and let cool down completely on a wire rack. Serve plain sprinkled with icing sugar if you like or decorate with sugar icing and gummy bears or other small sweets for the children. 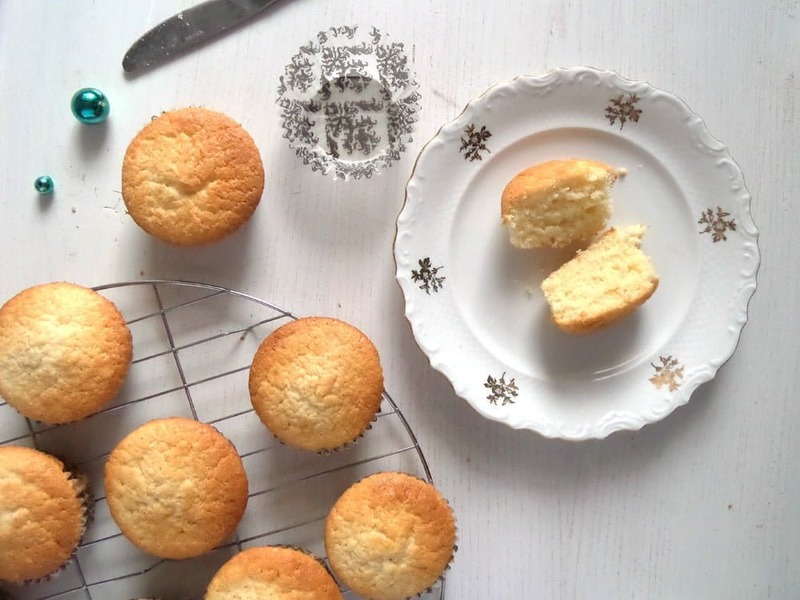 Any frosting you like would suit these muffins as well. These muffins sound wonderful, Adina! Some things just don’t need to be fancy schmancy and are perfect just the way they are. I love sour cream coffee cake so I have a feeling I’d really enjoy these as well. They look so moist! How did you know I have a thing for both sour cream and muffins, Adina? Sour cream IN muffins? Heck yes! I bet these would be really good with a bit of homemade jam! Love these, my dear! Cheers to a beautiful day! I am glad you like them, Cheyanne. I was actually thinking to put a bit of jam in the muffins the next time I bake them. This is such a brilliant idea. I would have never though of adding sour cream to muffins. SO much yes to these classic beauties. These look awesome, Adina. What a great recipe…I love the short ingredient list and I would totally whip them up and enjoy them just plain for myself. As for my son, he would be with your kids as far as icing and topping (gummy bears sound so fun!). They look super tender! These muffins look like that would just melt in your mouth! I don’t think they need any frosting, just a dab of jam and I’m set. 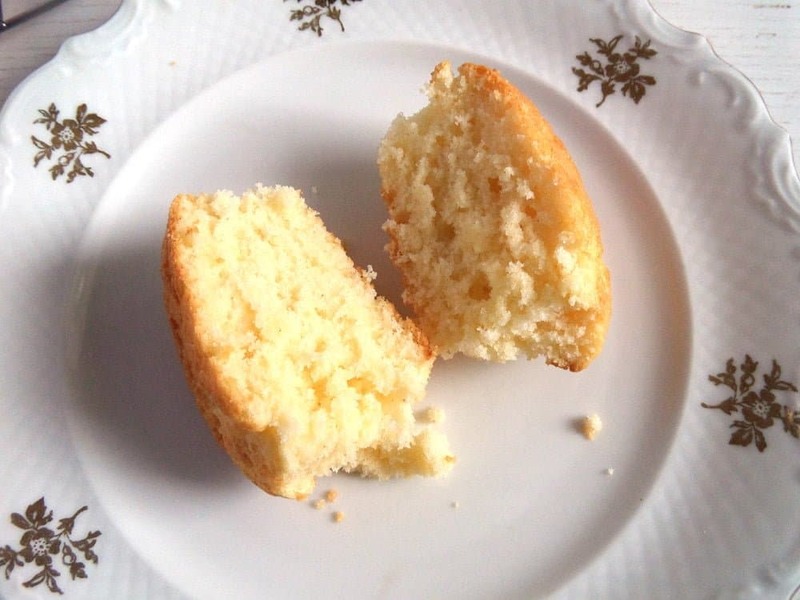 I love the tender and light crumb of these muffins. I’m with you, unadorned muffins are much more tempting. They look so crumbly and perfect!